Portfolio Categories: Case Studies and Vapor Control. West Coast customer challenged Envent to create an immediate temporary solution which would enable them to continue production during the 1.5 month lead time it would take to manufacture, transport, and install their new system. 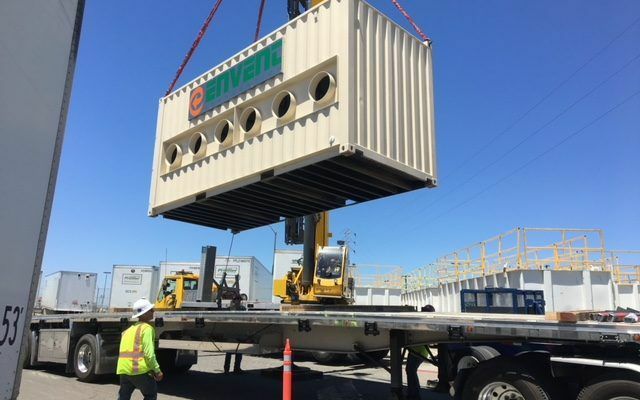 Envent supplied a Temporary Air Handling and Treatment System consisting of three separate trains of custom built Envent paint particulate filters followed by three 14,000K lbs. / 20,000 CFM carbon units. The particulate filter housings were equipped with pressure differential gauges making it easy to anticipate change outs. The high flow carbon units were equipped with multiple air sample ports providing the opportunity to anticipate potential breakthrough. Envent also supplied a nitrogen source due to possible reactions and overheating. Envent’s treatment system was designed to safely enable high flows continuously during potential recharging events. 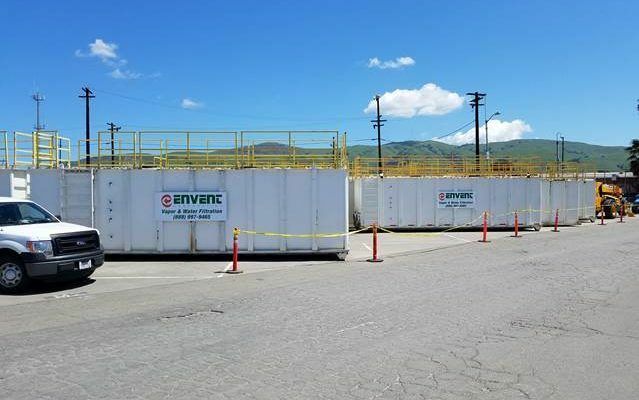 Envent’s vapor control solution and project management support enabled this West Coast customer to meet their aggressive production goals during this short outage for less than 1% of their potential liability.